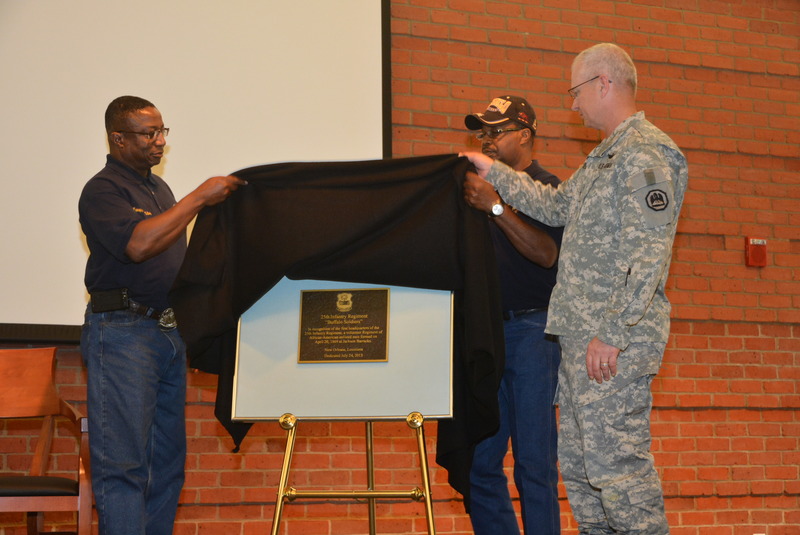 NEW ORLEANS – Command Sgt. 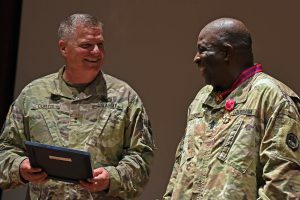 Maj. Dennis J. Sapp, former senior enlisted advisor for the Louisiana Army National Guard, retired in an official ceremony after 39 cumulative years of service in the armed forces at Camp Beauregard in Pineville, July 14. 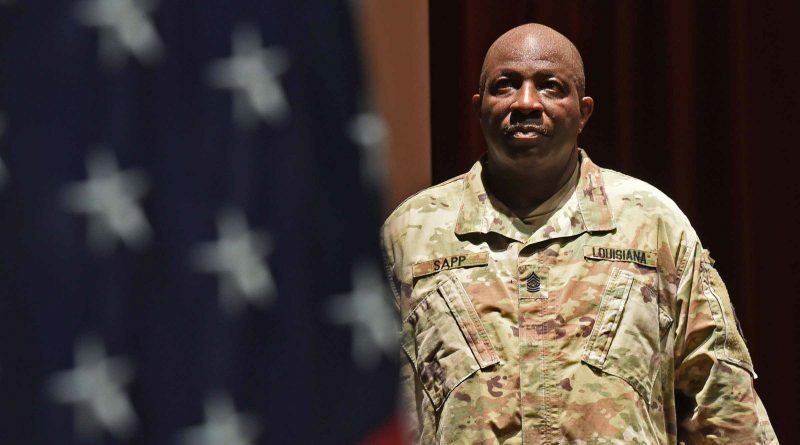 Sapp served as the military advisor to the state command sergeant major and the adjutant general from 2014-2018. The person in this role is the subject matter expert on all enlisted matters to include the training, health, welfare and morale of troops and professional development. This person also represents the collective wisdom of the enlisted corps of the LANG. His family, friends and peers from throughout his career filled the post theater at Camp Beauregard to capacity to commemorate the milestone with him. 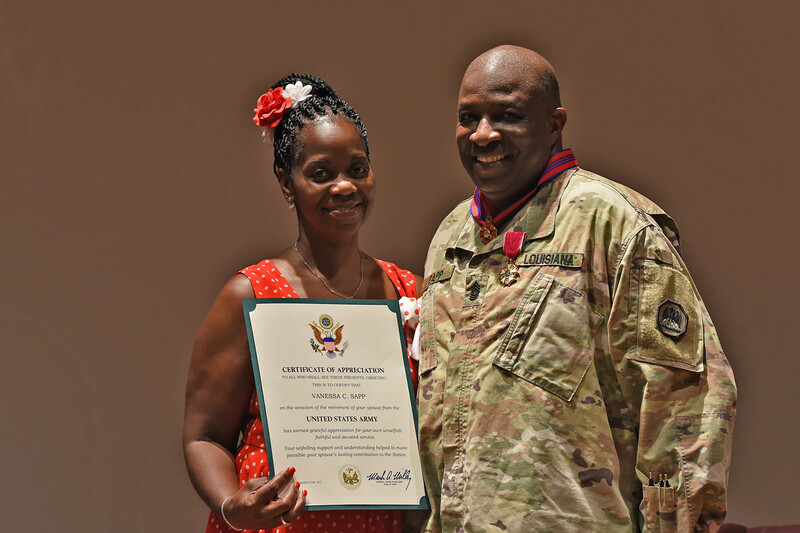 Sapp enlisted in the U.S. Army in 1978 as a wire system installer. He enlisted in the LANG in 1993 after nearly a year break in service. Throughout his career, Sapp served in several key leadership positions, including commandant of the Louisiana Youth Challenge Program. He mobilized in support of Operation Iraqi Freedom in 2004 while assigned to the 199th Brigade Support Battalion. 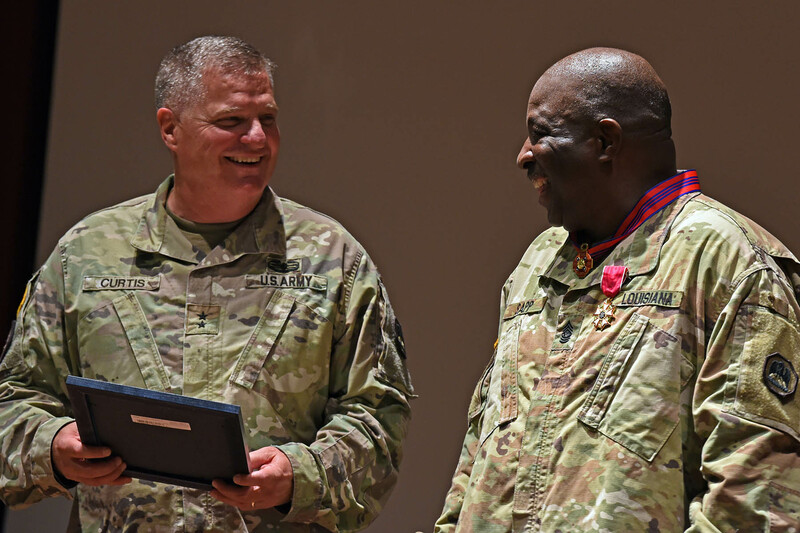 Sapp earned the rank of command sergeant major in 2009 and assumed duties as the senior enlisted advisor for the 165th Combat Service Support Battalion. 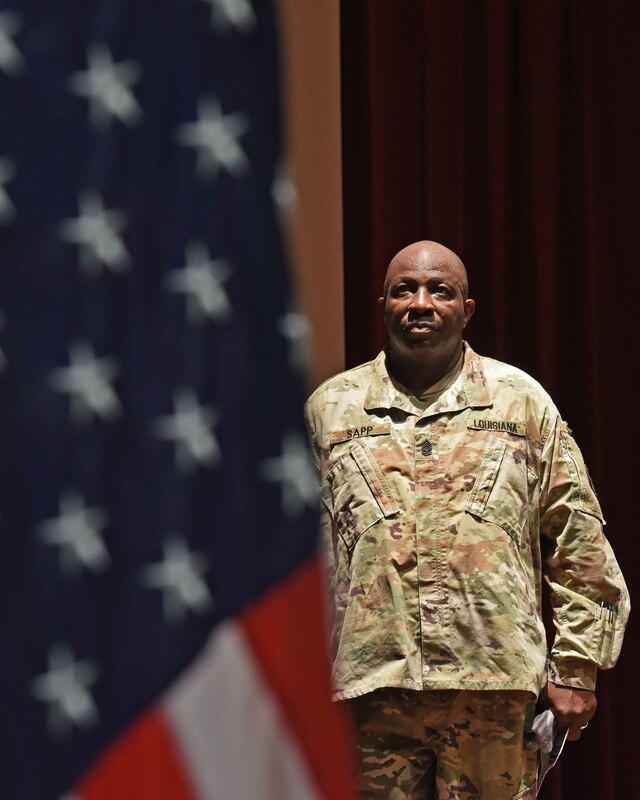 He then served as the brigade command sergeant major for the 139th Regional Support Group, and as the brigade command sergeant major for the 256th Infantry Brigade Combat Team. He also served as the senior enlisted advisor for the Deepwater Horizon oil spill in 2010. Sapp is a graduate of Apopka High School in Apopka, Florida. His military education includes the Primary Leadership Development Course, Basic Noncommissioned Officer’s Course, Advanced Noncommissioned Officer’s Course and Drill Sergeant Instructor Course. 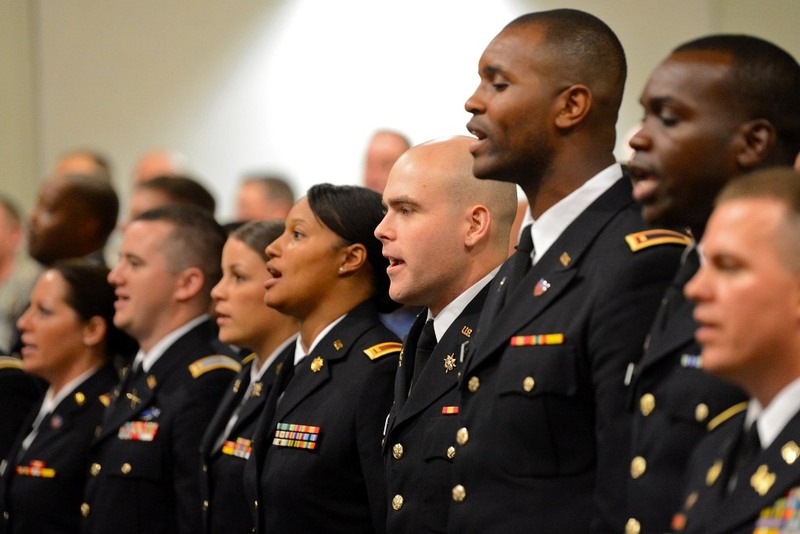 He is also a graduate of the United States Army Sergeants Major Academy. 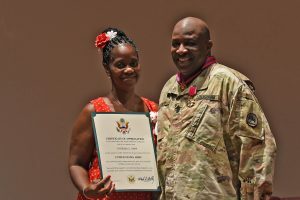 Sapp’s awards and decorations include the Bronze Star, Meritorious Service Medal with 4 Oak Leaf Clusters, Army Commendation Medal with 1 Silver Oak Leaf Cluster, Army Achievement Medal with 3 Oak Leaf Clusters, Good Conduct Medal, Reserve Components Achievement Medal with 1 Oak Leaf Cluster, National Defense Service Medal with 1 Bronze Service Star, Iraq Campaign Medal with 2 Bronze Service Stars, Global War on Terrorism Medal, Armed Forces Service Medal, Humanitarian Service Medal with 1 Oak Leaf Cluster, Armed Forces Reserve Medal with Bronze Hour Glass and “M” Device with Numeral 2, Noncommissioned Officer Professional Development Ribbon with Numeral 4, Army Service Ribbon, Overseas Service Ribbon, Louisiana Cross of Merit, Louisiana Commendation Medal with 3 Fleur-de-lis, Louisiana War Cross with 1 Fleur-de-lis, Louisiana Cold War Victory Medal, Louisiana General Excellence Medal with 4 Fleur-de-lis and the Louisiana Longevity Ribbon with 2 Fleur-de-lis. Sapp and his wife, Vanessa, reside in Pineville. He is father to five children: Alexia, Fallon, Dominique, Dennis II and Farron. He also has ten grandchildren. 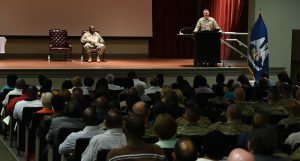 Please visit http://www.geauxguard.com for the latest Louisiana National Guard releases, photos and videos.